When I first started learning about herbalism three decades ago, it was slim pickings in the educational arena. I could only find a few herbal books at my local bookstore. Perusing the bulletin board at the health food store for herbal classes or conferences proved fruitless. Finding books, teachers, or like-minded plant people was no small chore. You see, there was no Internet. One needed to be creative and enterprising. I desperately wanted to learn about plant identification—especially medicinals—so naturally, I became a loiterer; a lurker of botanical proportions. 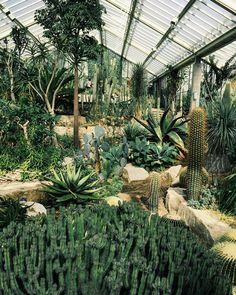 I would spend entire afternoons at a botanical garden, visually matching the labels to their plants, committing the herbs to memory in a tactile and tangible sense. The plants came alive! For me, putting a face with the name is still the best way to learn. 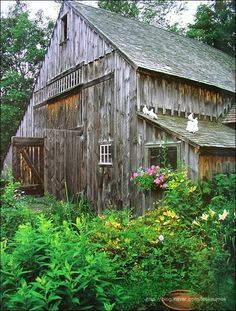 Nursery owners would give me odd looks as I spent hours prowling the herbal aisles, picking up pot after pot, reading the tags, and eventually pressing the leaves of sage, catmint, and borage to the recesses of my mind. Not only did I loiter, but I also excelled at the art of pestering. Armed with long lists of coveted herbal books, I enticed my librarian into masterful schemes involving interlibrary loans and waitlists. I sewed a blue velvet pouch for my oversized botanical flashcards, which I pulled out at every dull turn (no cell phones to pass the time!). I eventually found my first herbal teacher and conference, and the door to herbal treasures opened. These days, thankfully, it is 576 times easier to learn about medicinals. And there are still lots of free (or super cheap) ways to learn if you’re resourceful and enterprising. 1. Take a free herbal course. 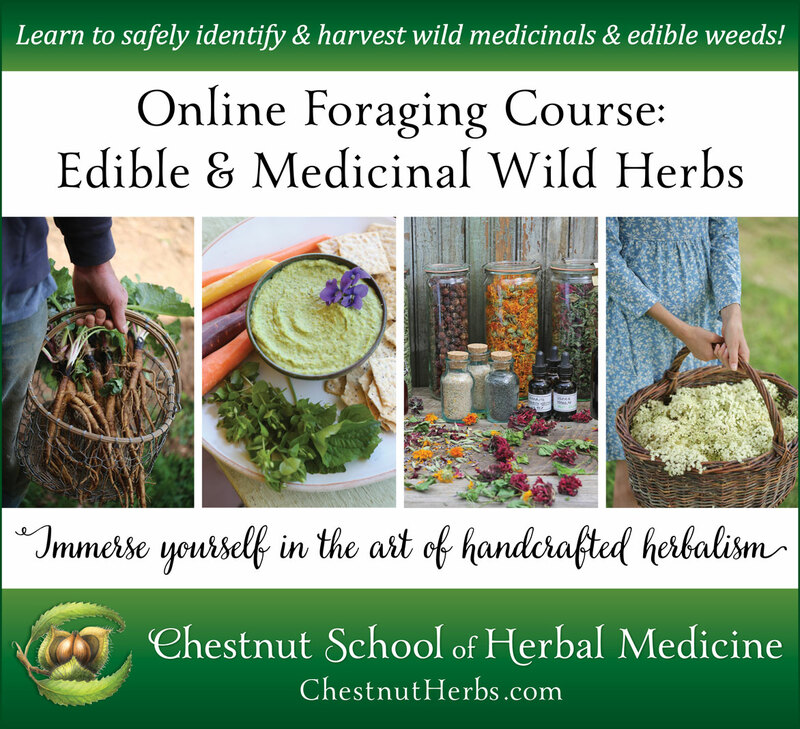 Not to brag, but our Handcrafted Herbal Mini-Course is absolutely gorgeous and hilarious while also informative and engaging. We only open the course a few times a year, so be sure to sign up for the waitlist to find out when enrollment is open. 2. Pester your librarian. 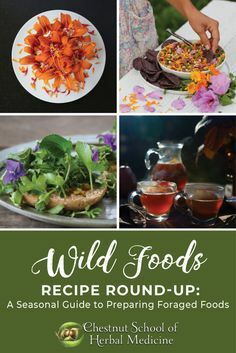 Check out some of our favorite books on wild foods and foraging, as well as our favorite regional plant guides. 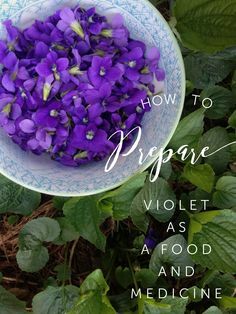 Some of my favorite herb gardening books of all time are available used and for just a few dollars online: look for the list of herb gardening books at the end of this article for inspiration. 3. Transform the mundane into mastery. We all brush our teeth and travel in our cars or on foot, and those in-between moments add up. Try learning about herbal astringents as you swish and spit. Get your podcast on, people! Peruse our list of herbal podcasts. We love listening to Aviva Romm’s Natural MD Radio! 4. Sit at the feet of the experts. 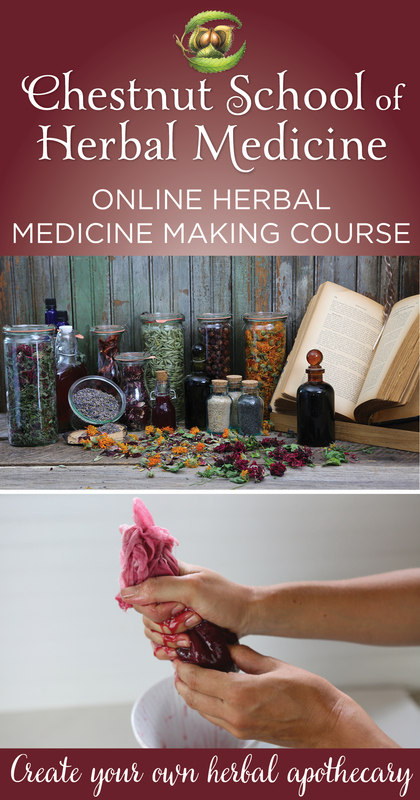 Explore the American Herbalists Guild free webinar class offerings. 5. Skip the Netflix binging. No matter how dope Leslie Knope, those hours might be better spent slurping up knowledge instead of snorting out your nettle tea. Instead, binge on herbal YouTube channels. 6. 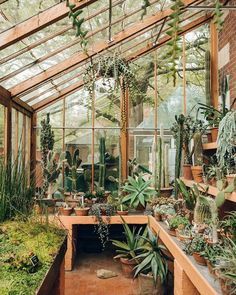 Lurk about plant nurseries. Seriously, don’t knock it until you try it. And you might just get to take home some new green babies. If it’s winter, or you don’t have an herbal nursery nearby, we highly recommend perusing the Strictly Medicinal Seeds catalogue. Their plant descriptions are an education unto itself. 7. Get your flashcard on, good people! I’ve made a lovely set of plant ID flashcards consisting of videos and photographs. And another set of cards for memorizing herbal action terms like diuretic, sialagogue, and galactagogue (think pee-pee, spit, and lactating aliens from faraway galaxies). You can access them on our Highlighted Instagram Stories (you'll need to be logged in to see them). We’ll be adding more flashcards every season, so be sure to follow us on our Instagram page to play along. 9. 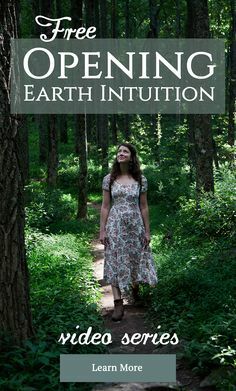 Learn from one of the greatest herbalists of modern times. Michael Moore was my teacher and my teachers’ teacher; he left quite the herbal legacy when he passed in 2009. Peruse Michael’s invaluable online offerings. You can sign up for free access to his Herbal Therapeutics and Constitutional Evaluation course, representing the last classes taught by this infamous herbal elder. 10. Interested in offering free or low-cost herbal health care? Check out The Herbalista Health Network’s vast array of resources and information. 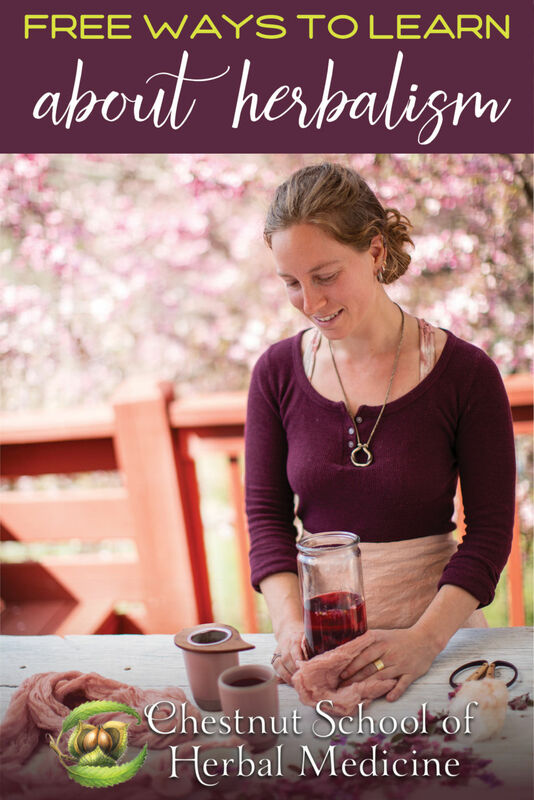 Chestnut School graduate Annie SewDev also has lots of experience in this realm, and she offers a directory of free herbal zines. 11. Get in on the action! FOMO? Catch up on your herbal actions (what other kind of action is there?). 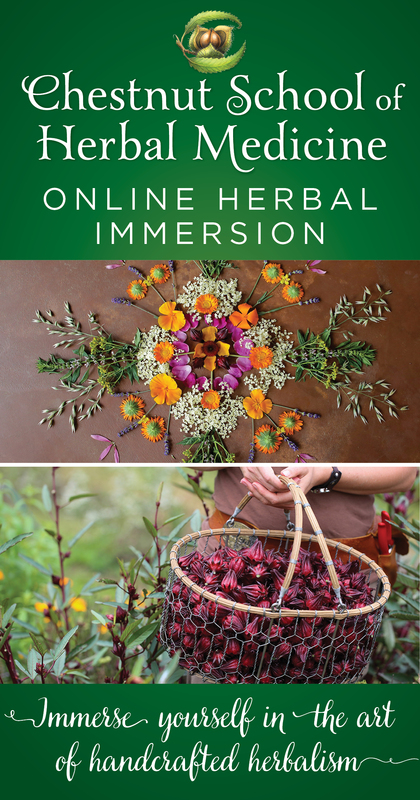 View this comprehensive free pdf outlining herbal actions from herbalist Christopher Hobbs! P.S. You won’t want to miss our herbal action flashcards in our Instagram story highlights. Find us at @chestnutschoolherbs! 12. 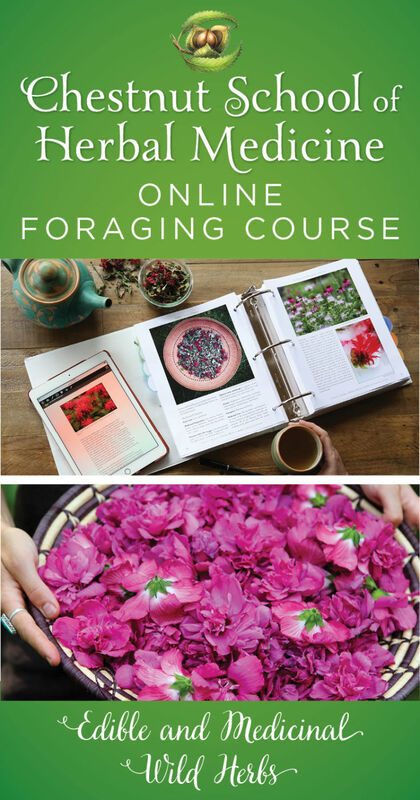 Explore Mountain Rose Herbs’ educational offerings. Read their free e-book, Guide to Herbal Preparations. Check out their blog for fun recipes and seasonal topics! All of our students receive a 20% discount on their Mountain Rose orders! 13. Cultural competency is crucial for herbalists. Take a look at the Queering Herbalism website—it’s full of information for and about Queer and BIPOC healers. Download their free e-book, Queering Herbalism, compiled by Toi of the Queering Herbalism Blog. 14. Marvelous monographs and more materia medica, oh my! Explore Herb Rally’s extensive list of herbal monographs. 16. Work-trade at conferences. Most herbal conferences offer work-trade positions, which is a great way to meet other herbal enthusiasts as well as attend herbal classes. 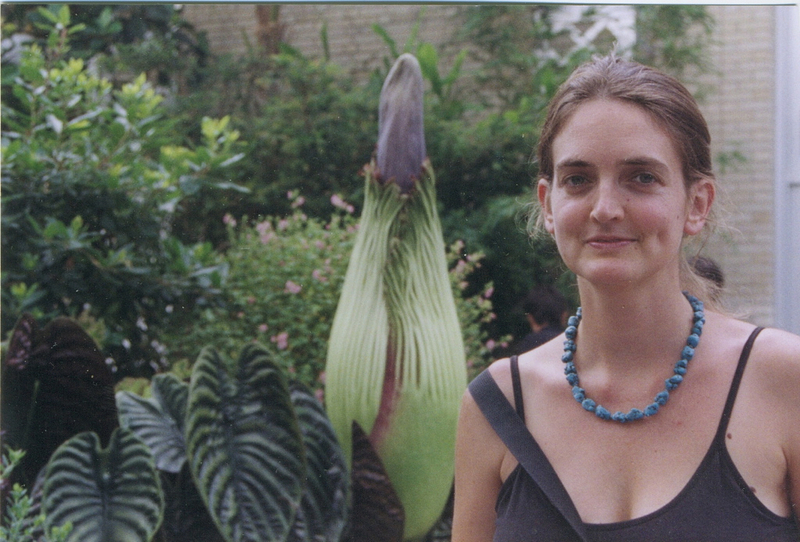 In my early twenties, I work-traded at the Medicines from the Earth conference, where I now sometimes teach. Peep the pages of our Budding Herbalist Guide for a list of well-known herbal conferences! 17. Interested in herb gardening? Explore some of our favorite resources for springtime herb gardening! DEVON KELLEY-MOTT sprouted in the lush hills of Western Massachusetts and was called to the herb world at an early age. She transplanted to the mountains of Western North Carolina in 2011 to study the vast biodiversity the Southern Appalachian region has to offer. 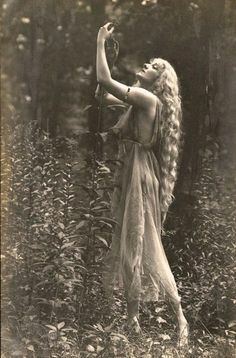 During this time she has worked on numerous herb farms, organized and hosted herbal events, and created an herbal product line called Apothefaerie. This entry was posted in Herbal Education, Herbal Medicine and tagged free herbal books, free herbal classes, free herbal medicine classes online, free herbalism training, free ways to learn about herbalism, herb gardening resources, herb nurseries, herbal materia medica, herbal monographs, herbal nurseries, herbal podcasts, herbalism classes online free, learn herbal medicine online free, learn herbalism free. Bookmark the permalink. Podcasts are also free. Real Herbalism Radio is dedicated to factual information on herbs and homesteading. 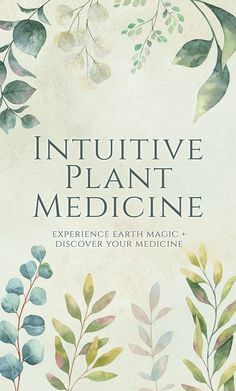 We have over 500 free articles on the subject on our website http://www.thepracticalherbalist.com.